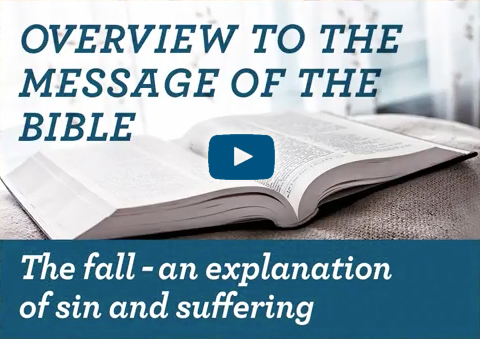 QUESTION: The Bible says that the root of our problems is in our hearts. Does this explanation make sense to you? What do you think of the alternative idea common in Western thought: that humans are actually mostly good, and capable of fixing our world’s problems without God’s help? EXPLANATION: The Christian view of human nature stands in contrast to the modern ‘secular’ or ‘humanistic’ view. The secular view assumes humans are essentially good – even though we still have ‘a bit of Hitler in all of us’ (to quote John Lennon). This view found its modern expression following the ideas of Jean-Jacques Rousseau who lived in the 18th Century, who suggested that humans might be instinctively good rather than evil, and that the problem might be government and religion rather than the human heart. This led to the French Revolution to overthrow the ‘constraints’ of the government and religious systems in France, and these ideas have led to many similar revolutions since. These views lead to a belief that we humans are actually capable of fixing the world’s problems by ourselves – coming from the assumption that we are naturally good. All we need to do is to get rid of whatever it is that is stopping us becoming all that we can become (if only we could work out what it was from a secular viewpoint). We see this thinking playing itself out in various violent revolutions that have sought to bring about a perfectly secular society by attacking the perceived problem – the worst being Communism and Nazism, which were both pursued as attempts to improve the world. These attempts to bring about good through the removing of certain government and religious restraints (and the imposition of others) were quite ironically responsible for more deaths in the 20th Century than all religions combined in the past 2000 years. Indeed it has been shown that the opposite of bad religion (which they sought to overthrow) is not no religion (secularism)! It is good religion! Modern secular attempts at globalization and global government are based on these same kinds of thinking. If ever achieved, a global government would be similar to what was happening at the Tower of Babel in Genesis 11 where the people of the earth united without regard for God. God saw that there was no limit to what they were capable of – referring surely to their potential for evil (because he has no reason to fear their actual power). The Christian view – in contrast, would suggest that history has already shown us enough times that evil is in our hearts, and that ‘absolute power corrupts absolutely’. Without God in the picture to help us, we are destined to repeat history. We actually do need God’s help – and the starting place is humility to admit this!